File contains a transcribed and audio copy of an interview conducted with French Canadian actor and film director Claude Jutra by Toronto Psychiatrist Dr. Frank Sommers, for Sommers' project "The Mind of the Film Director. 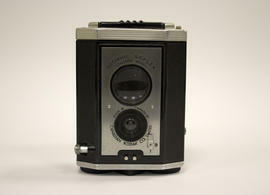 Item is a Bell & Howell Electric Eye 8mm motion-picture camera with a 3 lens turret. Bell & Howell was a U.S. based manufacturer of motion picture technology. Item is a range-finder, 16 mm motion picture camera for amateur, home use. The spring wound moter will shoot 40 feet of film before needing to be rewound. Item consists of a Brownie 8mm Movie Camera II. It uses 8mm film and has a Kodak Cine Ektanon Lens 13 mm f/1.9. It has one reel. Item consists of a Bell & Howell Filmo Auto Load 16mm motion picture magazine camera. Item consists of a Kodak Zoom 8 Reflex Camera Model II. It has a Kodak Zoom Ektanar Lens f/1.6 and used 8mm film. It was released the same year as the previous model, in 1960. 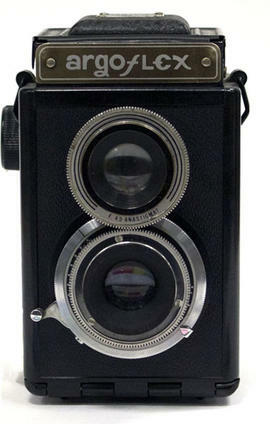 Item consists of a Kodak Brownie Automatic Movie Camera f/2.3. It is an 8mm wind-up spool-film camera. It has a flip-up bombsite viewfinder, an f/2.3 lens with a photocell, and originally retailed for $74.50. Item consists of a Kodak Movie Camera Eight mm. It has a 13mm f/2.7 lens and retailed for $47.50. Item consists of a Kodak Movie Camera Eight mm. It has a 13mm f/1.9 lens and retailed for $49.50. Item consists of a Kodak Movie Camera Turret f/1.9. It is a motion picture camera for double run 8mm film with 25 feet load, made in Canada. The three lenses are on a rotating turret offering 13mm, 24mm, and 9mm wide angle options. Item consists of a Kodak Instamatic M14 compact motion picture camera. It was used with silent Super 8 film cartridges and has a 14mm f/2.7 Kodak Ektanar Lens. There is the option to attach a pistol grip for easier hand-held filming. Item consists of a Kodak XL 362 movie outfit, including camera, 4 AA--size batteries, wrist strap, and eye cup. Originally also included a super 8 cartridge of Kodak type G Ektachrome 160 movie film. Item consists of a Kodak Ektralite 500 camera. 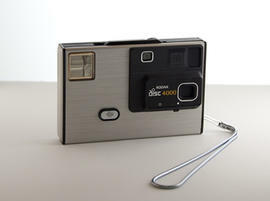 It is a 110 cartridge compact viewfinder camera with automatic flash. Black body with hinged cover that can be used as camera grip. Features a Kodak Reomar 22mm lens. Uses 9-volt alkaline battery. Item is an instamatic for use with 110 film. Includes magicube extender, and magicube flash bulbs. Item is a simple camera plastic amateur snapshot camera for small (28 x 28 mm) exposures on 126 cartridge roll film. Item in original box. Item is a 110 film pocket camera. Like Ektra 1 camera but has built in electronic flash. Item is a roll of film in plastic casing, designed to be used as a camera. The camera comes in its original packaging, opened. ASA 100. Small hand held camera with thin, horizontal design. Black plastic casing with metal plate and blue release button on top. Black leatherette on bottom. Strap attached. Slide pulls shut to cover recessed flashbulb. 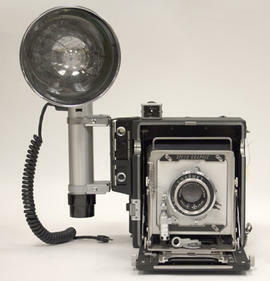 Item consists of a Brownie Holiday Flash camera. It features a Dakon lens and brown bakelite body. Viewfinder camera for use with 127 film. 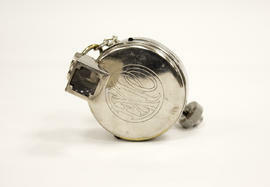 Item is a box camera with a metal body and leatherette covering. 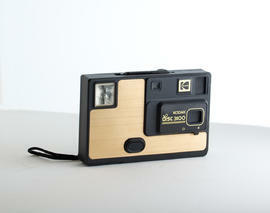 It uses 116 film for 2.5 x 4.25 inch exposures. The camera has a meniscus lens, a single-speed rotary shutter, and two viewfinders.